A decandent mix of Australian dried fruit, soaked in brandy and wrapped in crispy shortbread. NOTE: This product is currently available for sale online with delivery in the Adelaide Metro area. Free shipping for orders of $100 or more. 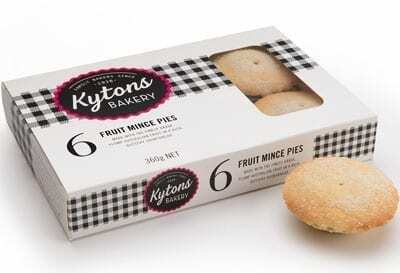 A Christmas tradition and essential for many festive tables, Kytons mince Pies make the perfect accompaniment for your Christmas party or to go with Christmas afternoon tea.